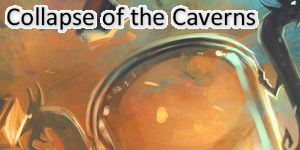 This week's theme comes from our overlord ShadowsOfSense, whose "Vanessa VanCleef" was the winner of our Decisive Action competition! 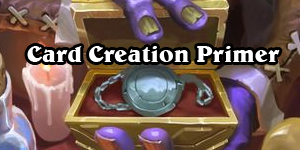 Existing examples include: Nat Pagle, Safeguard, Doomsayer, Mirror Image, Summoning Portal, Public Defender, Spirit of the Raptor, Mechano-Egg, Test Subject, Boommaster Flark, Primalfin Totem, Gurubashi Offering, Lorewalker Cho, Bomb Toss, Validated Doomsayer, Saronite Taskmaster, and Alarm-o-Bot. 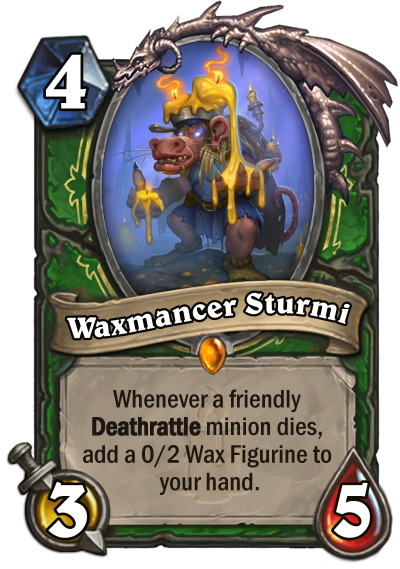 The Wax Figurine has the same Deathrattle as the minion that dies. 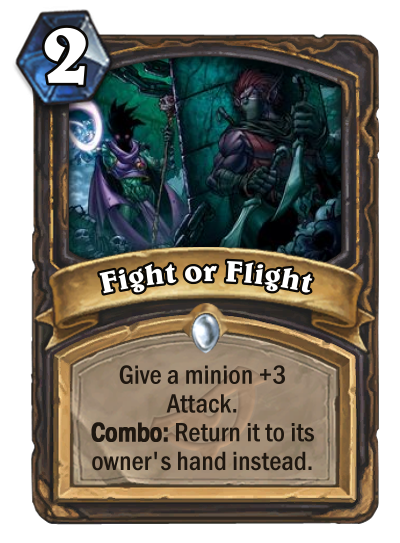 Eh just noticed, I'll capitalize the first "attack" in the card so it matches for the final submission. Presumably it should, considering the condition for repetitive casts is-that someone drops to 0-Attack. By the way, when you're referring to Attack the stat, it must be capitalized. 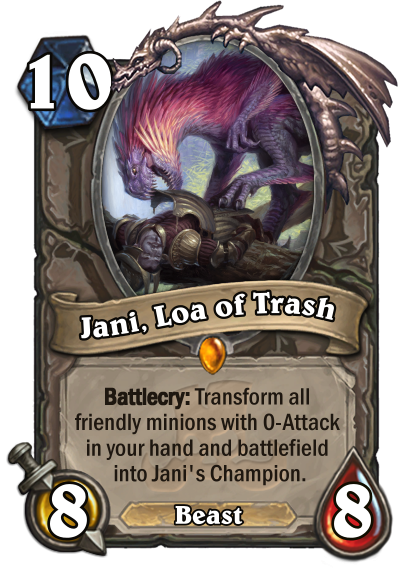 The idea is that you managed to summon or generate a bunch of 0-Attack minions and then Jani, the Protector of Trash (things that people usually throw away) transform them into his champion for a massive swing turn. 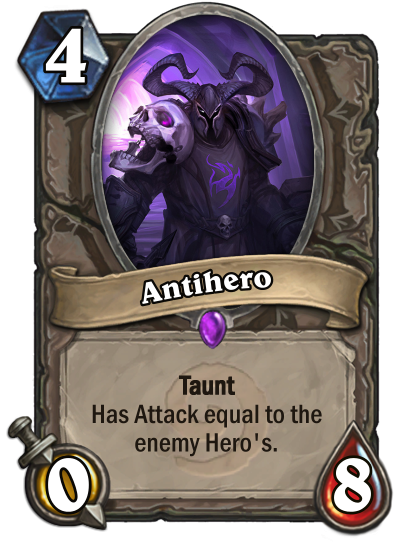 How about 0 attack weapons? Does that count? 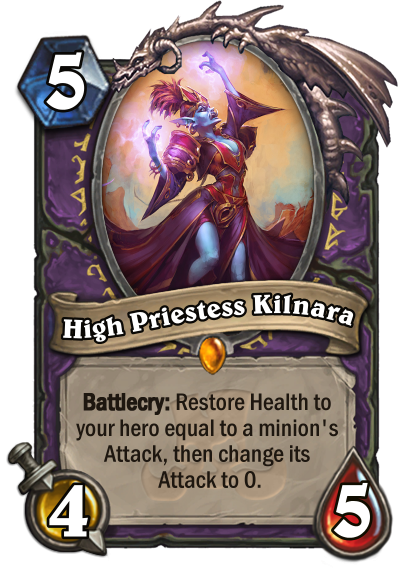 She drains a minion of its strength, like Humility crossed with Lifesteal. 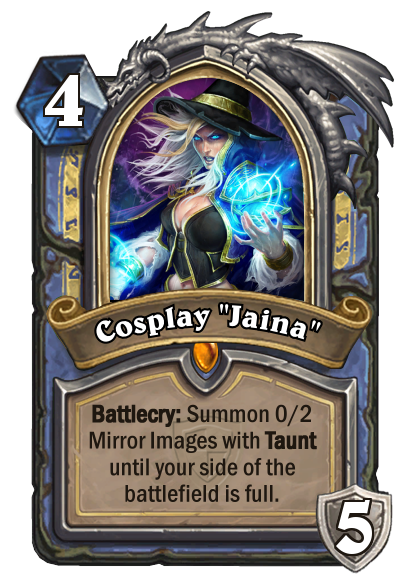 No, we want minions for this theme. 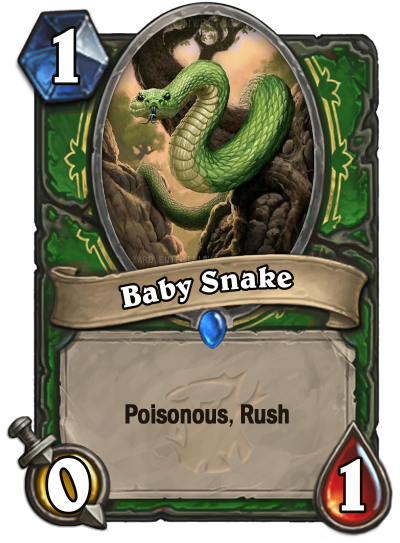 Or at least, interactions with 0-Attack minions. 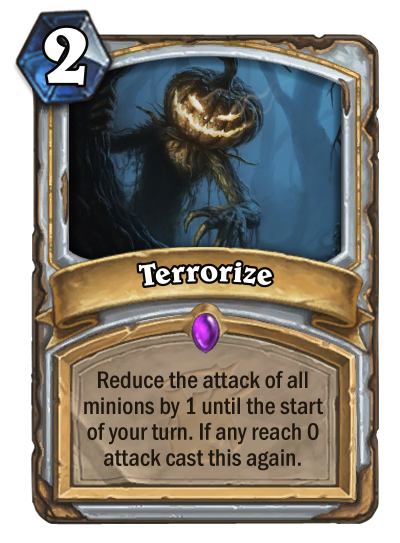 Yeah, I designed this theme specifically with changing a minion's Attack to 0 being allowed in mind. 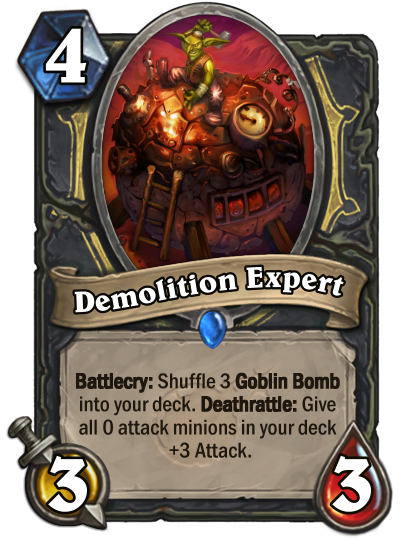 It's based on my Experimenter class (which is why Experiment One is in the banner), which had a big theme of 0-Attack minions, changing minions to have 0 Attack and buffing 0-Attack minions. Who be the warchef now? 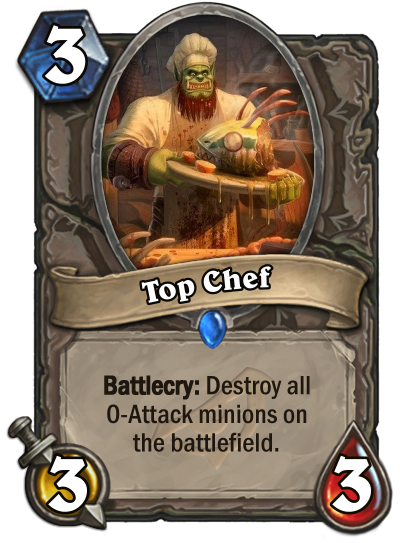 Sorry Cheese, I'm the chef now! So, here's Top Chef. 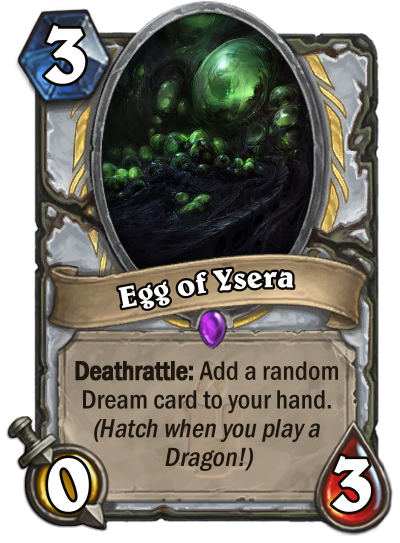 As his flavor would indicate, he's good for popping eggs, but he does more. 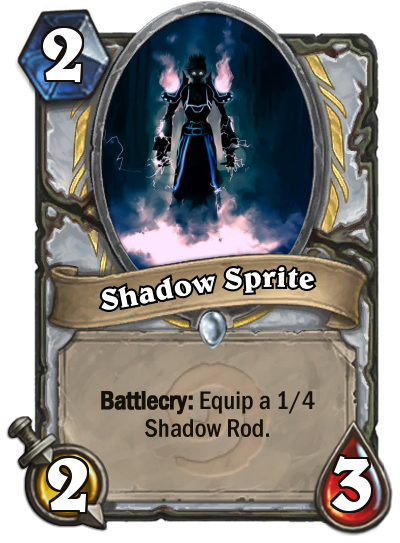 He works in Priest with Pint-Size Potion, Shrinkmeister, or Lazul's Scheme. 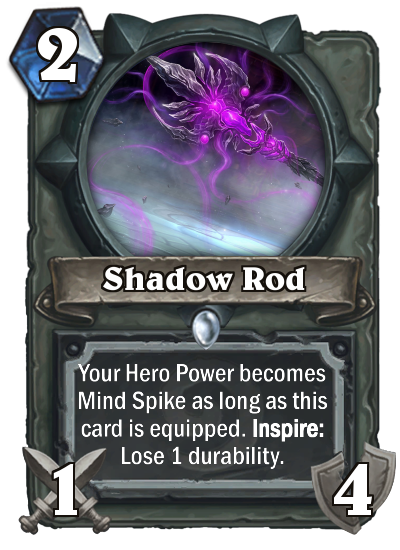 He can be comboed with Curse of Weakness in Warlock. 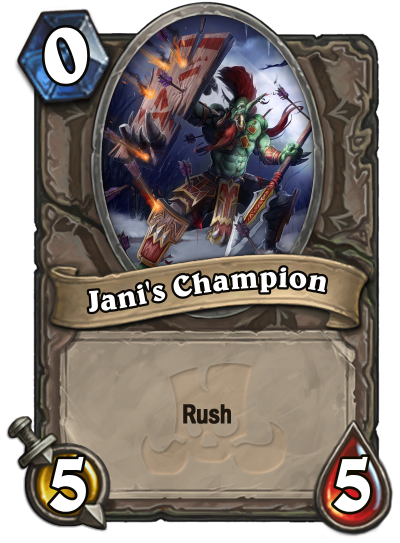 He can also be used to counter Spirits, and he utterly destroys Totems. 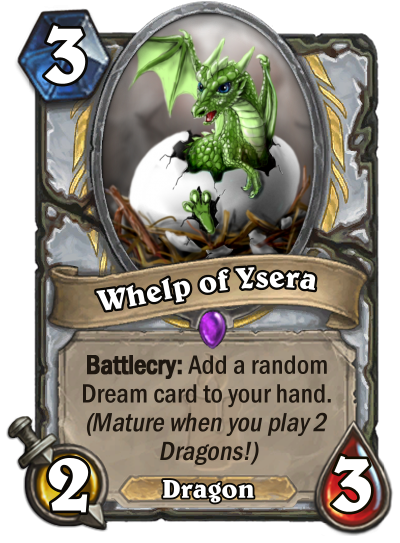 We have Doomsayer, we already have the idea of Lifesayer (fully heal all minions at the start of your turn). 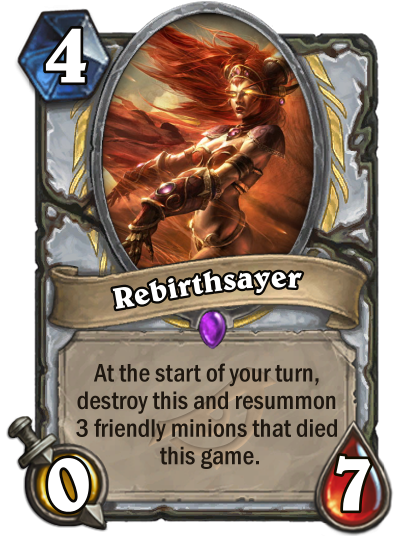 And now, here comes Rebirthsayer! EDIT: Nevermind, I didn't see Demon's post before posting. Timezones dammit. Oh, and I missed the Beast tag I just noticed. Will fix that later. I like it. 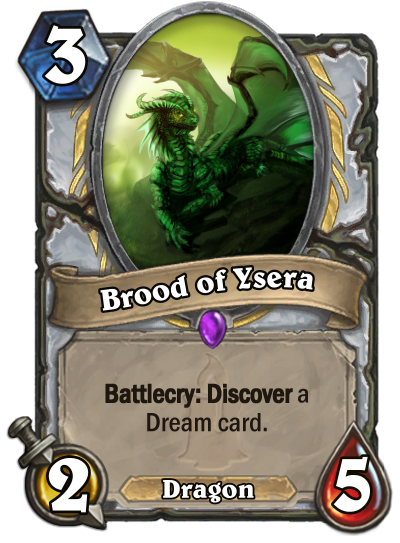 Seems cool and balanced. 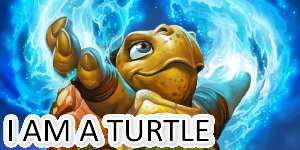 Art for your card. 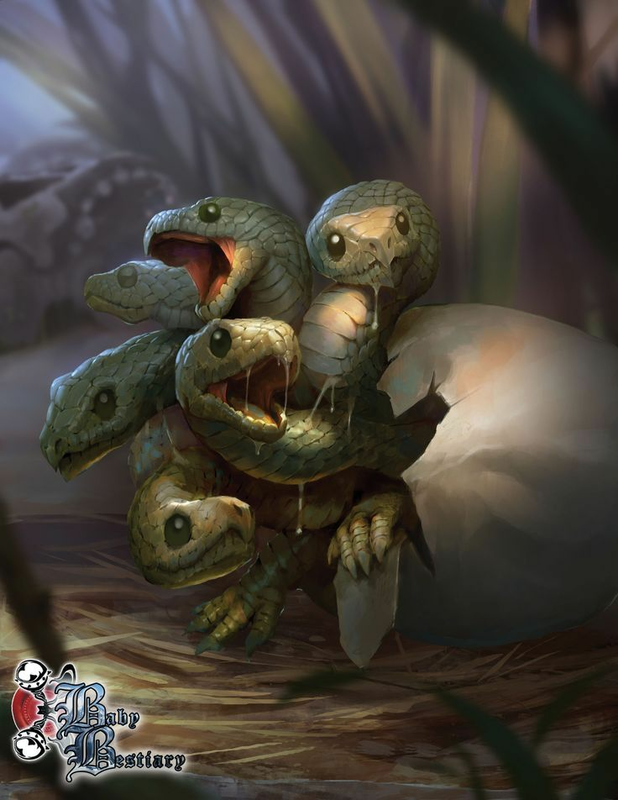 Not exactly a snake, it's a hydra, but it's cute. Thanks, I'll see if I can use it. As for your Terrorize card, it seems pretty solid. 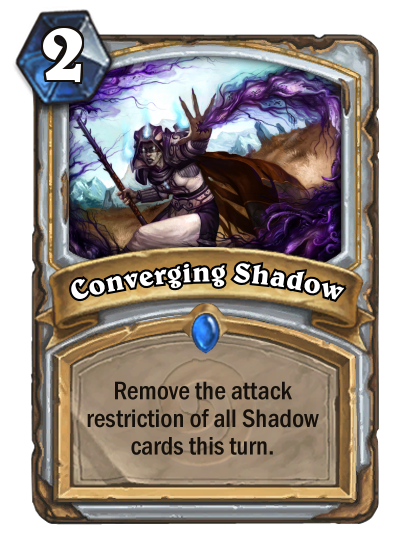 Getting it to repeat might be tricky though with only 1 attack reduction. 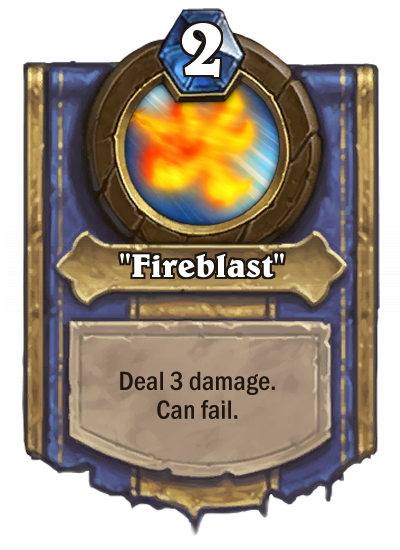 You could double the effect and cost so there's a higher chance it will repeat. Do you guys think this is better?